It's that time of the month again, WASPs monthly meeting at the usual place. Is there an Easter Monday / April Fools meeting? If you're going, Mark, I'll make an effort. I may ever make an extra effort and take the 2CV. Off out to this shortly. Anyone attending this meeting tonight? I'm going (it's my last WASPs as a regular), and I know quite a few are going (Spanners for one). Sounds like it's going to be a good turn out. 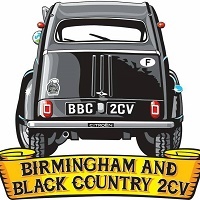 Hoping to make the July meeting, in a 2CV, assuming there will be one after Registers Day weekend?